Thank you to everyone who wrote to Historic England in support of the stadium plans. The submission period has now finished, so please don’t send any more emails or messages. Historic England have been tasked with looking again at the question of whether or not the existing Greyhound Stadium should be listed and preserved for its architectural and historic interest. They have previously concluded that it was not of sufficient interest to be listed. 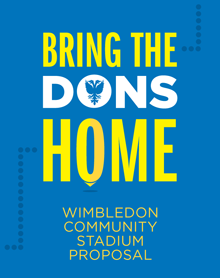 BTDH therefore invited all Wimbledon fans and supporters of the new stadium proposal to write to Historic England supporting their original decision not to list the stadium and urging them to come to the same conclusion a second time.